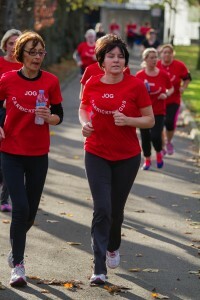 The Jog Carrickfergus 0 – 5k programme is based on the NHS Couch to 5K plan and it is designed to get you off the couch and gradually working your way to running 5k or for half an hour, in just ten weeks. The plan is aimed at absolute beginners with little or no experience of running or even exercise. 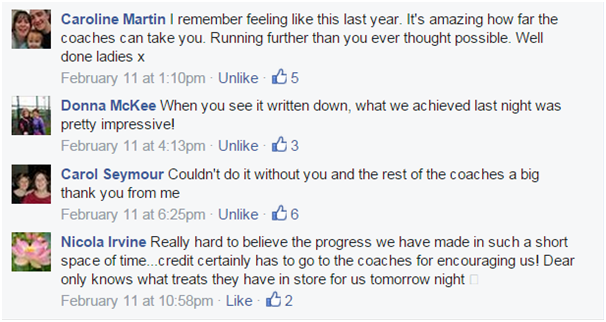 You will be helped and supported by other experienced runners in a nurturing and non-judgmental environment. What are the benefits of joining? The Jog 0 – 5k Programme started in June 2013 and past and present participants have seen great results in terms of fitness and weight loss, but most would agree the best aspect is all the new friends they have made through running. Probably the biggest challenge a novice runner faces is not knowing how or where to start. Often when trying to get into exercise, you can overdo it, feel defeated and quickly give up. The Jog Carrickfergus 0 – 5k programme works because it combines a mix of running and walking, to gradually build up your fitness and stamina. Week One involves running for just a minute at a time, creating realistic expectations and making the challenge feel achievable right from the start. The 0 – 5k programme is open to everyone over the age of 14. Details of the next programme are at http://activeni.org/130. Meeting at 6pm on Tuesday & Thursday in the Carrickfergus Amphitheatre (leisure centre). The goal of the 0 – 5k programme may vary from person to person but generally after 6 – 9 weeks each participant should be able to run a 5k or at least run continuously for 30 minutes without stopping. 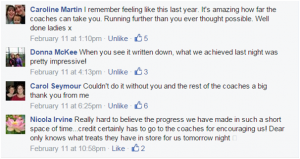 Athletics NI qualified Coaches & Leaders in Running Fitness will support & help you reach your goals. If you are nervous about joining why don’t you come along and watch one of our training sessions. You can also speak to the those taking part and the Coach Team. Remember the programme is tailored to suit all levels with an emphasis on the absolute beginners with no base level of fitness. What Next – 5k and beyond! 5k – For runners who have completed the 0-5k programme & want to improve where they are. 5-10k – For runners who can run 5k & want to increase the distance they can run to 10k. 10k – For runners who have completed the 5-10k programme & who want to improve at that distance.